With Elimination Chamber coming soon, we wanted to take a look back at the event and the match that takes six contenders and puts them through another form of hell. However, the competitors aren't the only ones who go through hell. There have been some instances where the fans have gone through hell watching some of these matches and today, I'm here to talk about those times. That's right, let's get into talking about the 5 worst Elimination Chamber Matches. -I'll be honest. I think this match managed to end a little bit better than some of the others on the list, but to be fair, the rest of this match was pretty standard and boring. Perhaps it was the cast that was a part of the Chamber? Maybe. Drew McIntyre, The Big Show, Kane, and Wade Barrett really don't scream out classic match, especially at the time. While I did enjoy the last battle between Edge and Rey Mysterio, the match itself overall was pretty boring. Still, Edge wins and walks into Mania as champion, but little did we know.... It would be the last match for Edge. That's bittersweet looking back. -Good lord. The Jack Swagger experiment. If not for the fact that two of the others had high expectations (and the second choice was just awful and worse), I would put this at no. 1 honestly. It was a solid match for the most part, but once it became clear who was winning.... It was all downhill from there. 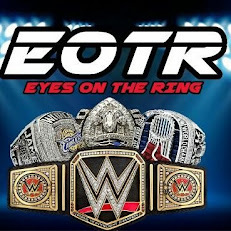 Anytime you have Randy Orton, Daniel Bryan, and Chris Jericho in a match, they should win. Not Jack Swagger. Jack Swagger didn't deserve to win this match and the fact that this match was essentially secondary, maybe third in importance on the card.... It says a lot. Swagger wins to a bit of indifference from the wrestling world and this is one of the worst decisions the WWE made........ in early 2013 at least. -With a pretty standard match set in place with opportunities to shine for Ted Dibiase and Kofi Kingston, I found this match to be a bit boring for the most part honestly. Sheamus came in as the WWE Champion, but with Mania around the corner, it was clear he wasn't leaving the Chamber with the title. The match came down to Triple H and John Cena and being that this was 2010, Cena won. What takes the match down in quality is the fact that Batista came out and got a match for the title with Cena, making the Chamber match pretty pointless in seconds. It had solid action, but just not enough to be engaging the entire duration. -So, the 2015 Elimination Chamber show was pretty rough in general. I mean, let's be real. After we watched the previous years and the great matches in the Chamber, this might have been the worst way to bring the Chamber full circle. Daniel Bryan was forced to relinquish the title, which was annoying, and then the choices to replace him were pretty subpar. Mark Henry, Ryback, Sheamus, R-Truth, Dolph Ziggler, and Wade Barrett felt more like a match during the second hour of RAW than a PPV main event and Ryback winning basically drove that feeling home. It had some good moments however with Sheamus, Ziggler, and Truth, but overall, this was an awful match. -So when this became a special in the summer, no one could have expected the first ever tag team Chamber match. Well, even if you did, you wouldn't have expected it to end up so poorly. This was one of the weirdest matches anyway, as we saw teams like Lucha Dragons and The Ascension be wasted and a horrible Kalisto spot that took far too long to get to. Honestly, I was glad to see the New Day retain, but everything else about this match was awful. It was a good concept in theory, but the execution was terrible. 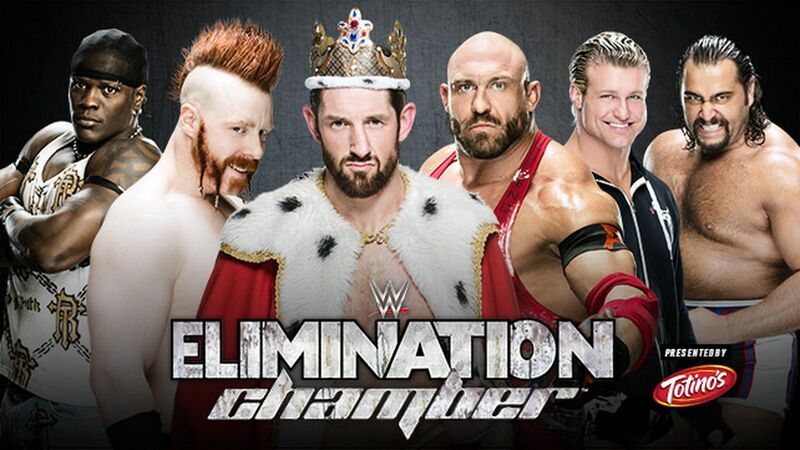 This is the worst Chamber match without question.